On this side of the world, there aren’t many places where you can get authentic and delicious Thai food. The situation is even direr when it comes to finding a place that offers a modern and convenient version of this cuisine. Luckily for people located in Ann Arbor and East Lansing, No Thai has been offering all this and more since its first location opened in 2005. This guide will go over the most important aspects of No Thai delivery. With the desire of bringing a modern Thai restaurant to the community of South University in Ann Arbor, four close friends started No Thai in the year 2005. From the beginning, No Thai strove to be a place where traditional Thai food could be given an adventurous gourmet twist. The eatery’s peculiar name came about as a tribute to Noerung “No” Hang, the restaurant’s head chef. Due to the quality and convenience of its service, it was not long after its opening that No Thai began gaining notoriety both on campus and outside of it. Aware of the restaurant’s success, its founders quickly decided to expand the business by opening new locations in Ann Arbor and East Lansing. These locations have been incredibly well-received by the communities that make up both regions. In order to serve as many customers as possible, No Thai has had a specialized delivery service from the very start. By partnering with specialized third-party delivery companies such as GoMobo and OLO, the restaurant is able to offer a remarkably efficient delivery service. As a matter of fact, No Thai delivery is one of the most successful delivery operations in Ann Arbor and its surrounding areas. 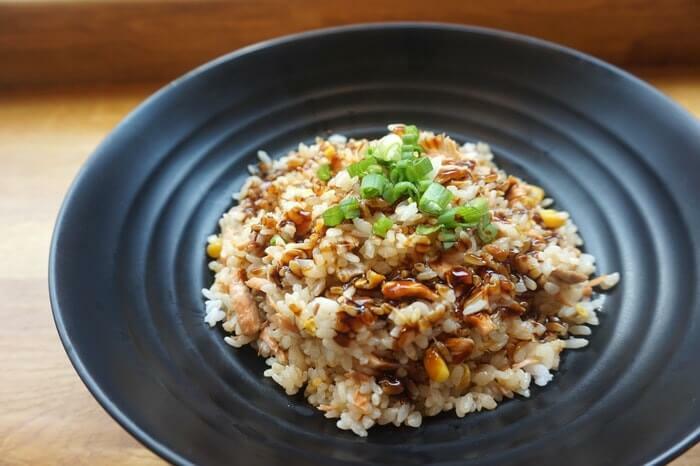 Quick and efficient, this delivery service constitutes a notably convenient way to enjoy the most delicious Thai food dishes without leaving the comfort of one’s home. S. Main: 2276 S. Main St., Ann Arbor MI 48103. South University: 1300 S. University Ave. Suite 3, Ann Arbor MI 48104. Kerrytown (Central Ann Arbor): 226 N. Fourth Ave., Ann Arbor, MI 48104. Plymouth Rd (North Ann Arbor / Hospital): 1745 Plymouth Rd., Ann Arbor, MI 48105. East Lansing (Campus): 403 E Grand River Ave, East Lansing, MI 48823. In order to find out which location’s delivery area your home or office falls under, you can take a look at the company’s special delivery map. Unless given special instructions, No Thai delivers its delicious dishes as quickly as humanly possible. Customers that are situated within the delivery range of a No Thai location should expect their food to arrive around an hour after the order was placed. However, it should be noted that bad weather, bad traffic, and other unforeseeable factors may cause delays and affect delivery time. S. Main: Monday to Saturday from 11 AM to 10 PM. Sundays from 12 PM to 10 PM. South University: Monday to Saturday from 11 AM to 11 PM. Sundays from 12 PM to 10 PM. Kerrytown (Central Ann Arbor): Monday to Saturday from 11 AM to 10 PM. Sundays from 12 PM to 10 PM. Plymouth Rd (North Ann Arbor / Hospital): Monday to Saturday from 11 AM to 11 PM. Sundays from 12 PM to 10 PM. East Lansing (Campus): Monday to Saturday from 11 AM to 10 PM. Sundays from 12 PM to 10 PM. When dealing with No Thai, delivery can be requested with a minimum order amount of eight dollars. For all orders, there is a delivery fee of three dollars. Online order placement: At this point in time, No Thai delivery orders can be made exclusively through the restaurant’s website. In order to make the service as user-friendly as possible, the restaurant has set up an online order placement service that is as straightforward as it is efficient. Provided with a full menu and required to input their personal information, customers can place a full order within the space of a few minutes. The order placement system even includes a comment section that allows customers to communicate any special requirements. It should be noted, however, that No Thai delivery orders can only be placed on the restaurant’s official website. For the sake of precision and efficiency, No Thai does not accept orders being placed over the phone. No Thai Loyalty Cards: In order to reward its valuable clientele, the restaurant offers loyalty No Thai cards. This service allows customers to enjoy discounts, promotions, and other benefits. However, it should be noted that, because the restaurant’s delivery service is conducted by third-party companies, No Thai loyalty cards are only redeemable in person at the store. By most accounts, No Thai delivery is a convenient and valuable service. Without a doubt, people in Ann Arbor and East Lansing that do not give a try will be missing out. Have you given No Thai delivery a try? If so, tell us about it in the comments! Hey Buddy!, I found this information for you: "No Thai Delivery 101: Areas, Hours, Fees". Here is the website link: https://all2door.com/no-thai-delivery/. Thank you.